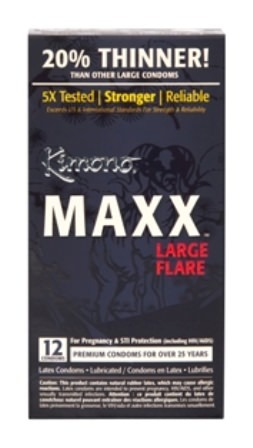 Kimono MAXX Condoms-Large are rated number one by Men’s Fitness Magazine. Get Maxx-imum benefits from this world class Japanese condom. 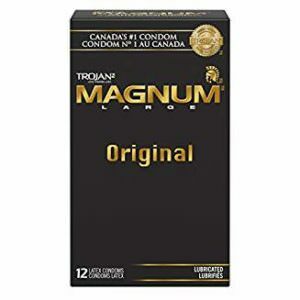 Lubricated and extra sensitive, Maxx condoms offers larger headroom, greater length and width, and extra headroom for more comfort. 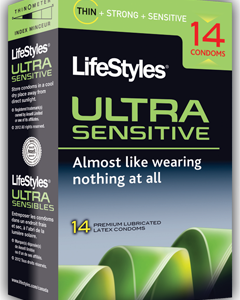 The premium silicone lubricant is super smooth and also paraben and glycerin free. Extra room where it counts most, as well as silky latex 20 percent thinner than average. 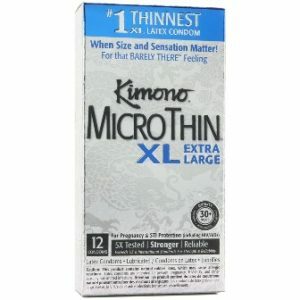 Kimono MAXX Condoms-Large are truly unique. They are longer than average (200mm), and are slightly wider than average (53mm) up the shaft of the condom. At the head of the condom however, the condom flares out to 60mm in diameter for a more comfortable feel. The additional head room combined with thinner than average latex (.06mm) makes Maxx a big favorite. OR: the handy 3-pack,easily carried in pockets or purses.